Overall usage on social media platforms is exploding. Millions and millions of consumers are expressing likes on Facebook, tweeting about products on Twitter, and pinning on Pinterest every single day. 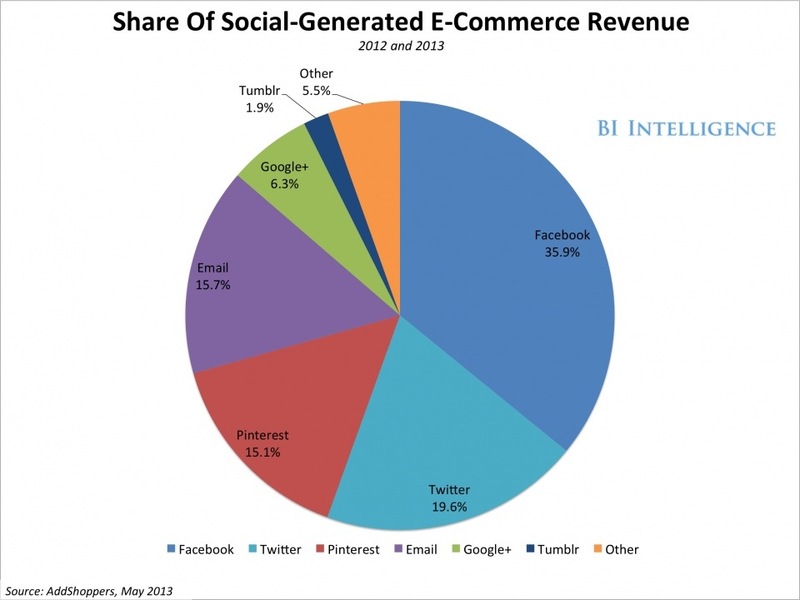 Retailers and brands are therefore increasingly focusing their attention on social commerce. A new report from BI Intelligence looks at successful examples of businesses and business models for generating commerce via social media-based strategies, analyzes Pinterest’s success as a social commerce platform, looks at Facebook’s potential as a social commerce contender, and examines the e-commerce conversion and order value gap. The rise of mobile: The rise of mobile, which means shoppers can price-compare and solicit advice from friends wherever they are. Overall, mobile accounts for just under 40% of time spent on social media. Facebook has passed the 50% mobile usage mark and Pinterest is at 48%. Given the continued growth of mobile devices, it will only rise. Brands’ desire for guaranteed attention in the medium, coupled with this explosion, helps to explain social media’s move away from traditional display ads – like Facebook’s right-rail ads – and into the realm of social commerce. The report is full of charts and data that can be easily downloaded and put to use. Click the source link for more.